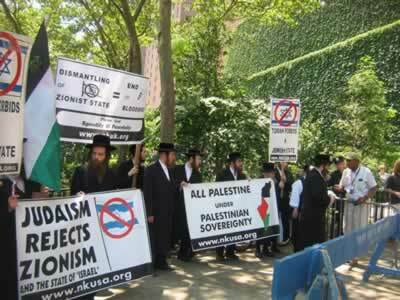 A counter protest took place against the rally in support of the State of "Israel" on Monday, July 17 , 2006, 12 P.M. In front of the United Nation Headquarters in New York City. Please give us a moment of your time to consider the following information. 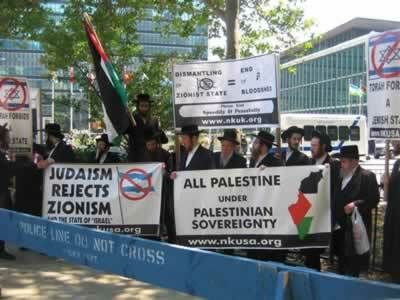 The Orthodox Jewish leadership and the Torah abiding Jews universally, have fought the ideology of Zionism and the State of “Israel”, since its inception and up until the present day. What could be the reason for the most devout element of Jewish adherers, to be in such vehement opposition to such a seemingly “holy” and “Jewish” cause, as the State of “Israel”? The Jewish people were sent into exile by divine decree. They were then expressly commanded by the Almighty, not to attempt to leave their exilic existence through any human intervention. (Talmud, Tractate Kesuboth, p.111). 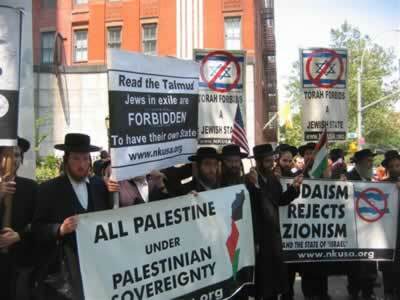 The Jewish people are forbidden to oppress another people. The creation of the State of “Israel” came about through, the theft from, subjugation and oppression of, the Palestinian people. The Rabbis stated, that the State of “Israel” will result in unending pain, suffering and bloodshed. May the Almighty protect His creations. The State of “Israel” does not speak in the name of Jews, they have stolen the name “Israel” from the Jewish people. Jews are commanded to be loyal citizens in every country in which they reside. 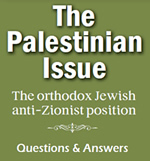 Zionism and the State of “Israel”, is the main cause of the exacerbation of anti Semitism universally. The government of the illegitimate State of “Israel”, continually attempts to uproot the Torah and its statutes. 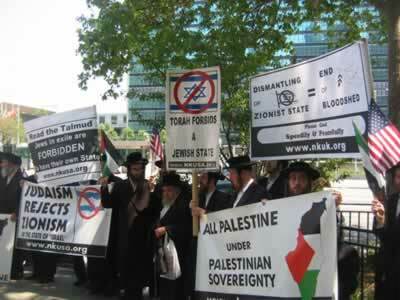 They persistently oppress the Torah true Jews who reside in its borders. We pray that all misery in the Holy Land shall come to an end, that Zionism, the root of the suffering, continue to fade from Jewish consciousness, to be replaced by the faith of Torah. Let us all pray for the speedy and peaceful dismantlement of the State of “Israel”. May we merit to see the day when all humanity will serve the Almighty in harmony and peace. Amen.